The mortally-wounded victim managed to make it inside his home, where he was found by one of his roommates at 3pm. 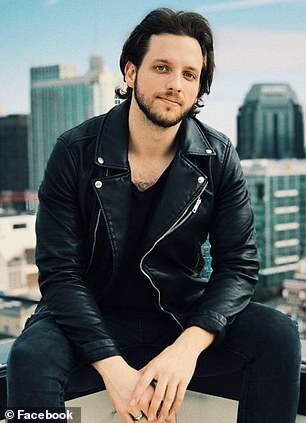 In the wake of his death, hundreds of loved ones and fans have paid tribute to the singer who's been praised as a 'rising star' taken far too soon. 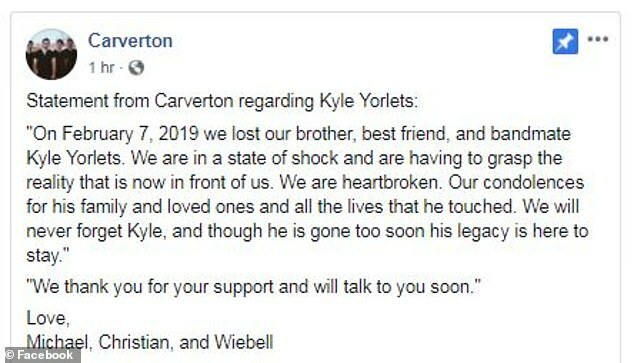 Samantha Harrison, a coworker at the restaurant where Yorlets was a bartender, wrote on Facebook on Friday: 'Yesterday my work family and I received horrible news about the loss of Kyle Yorlets. He was part of the Pastaria family, made everyone laugh and smile constantly. Belmont President Bob Fisher sent a campus-wide email announcing that the university would be offering counseling to members of the community affected by Yorlets' death. 'I am shocked by this news and am devastated to hear of the loss of one of our community members,' Fisher wrote, according to The Tennessean. Yorlets' former roommate and fellow Belmont alum Alec Koukol described him as a 'kind, friendly and charismatic soul'. 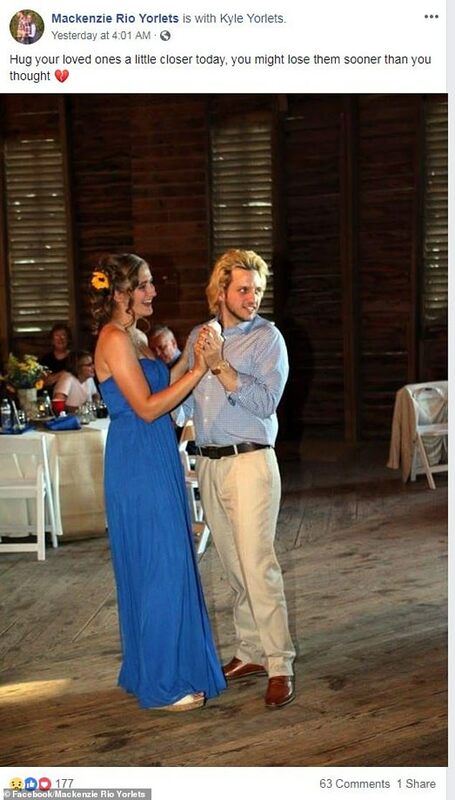 'He was very, very passionate about music,' the 23-year-old told The Tennessean. Yorlets' bandmates also released a statement addressing his death on Friday, saying: 'We are in a state of shock and are having to grasp the reality that is now in front of us. Faith Gipson, Yorlets' girlfriend of three years, has not spoken publicly since his murder. 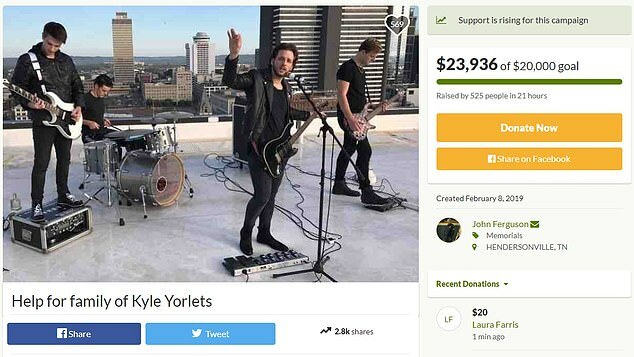 A GoFundMe campaign in Yorlets' honor had raised nearly $24,000 as of Saturday morning, just one day after it was set up. The description on the page says: 'The world just lost a bright and rising star, and we lost a beloved brother. 'His family are dairy farmers in Pennsylvania, a life-giving vocation that requires constant care and attention. 'We can't even begin to imagine having to deal with the grief and pain of losing a son, and then having to handle the arrangements of travel, transport, and the hundreds of decisions and interactions required by something like this, all the while having to arrange for the upkeep of a farm that needs full hands-on work 24 hours a day, 7 days a week. 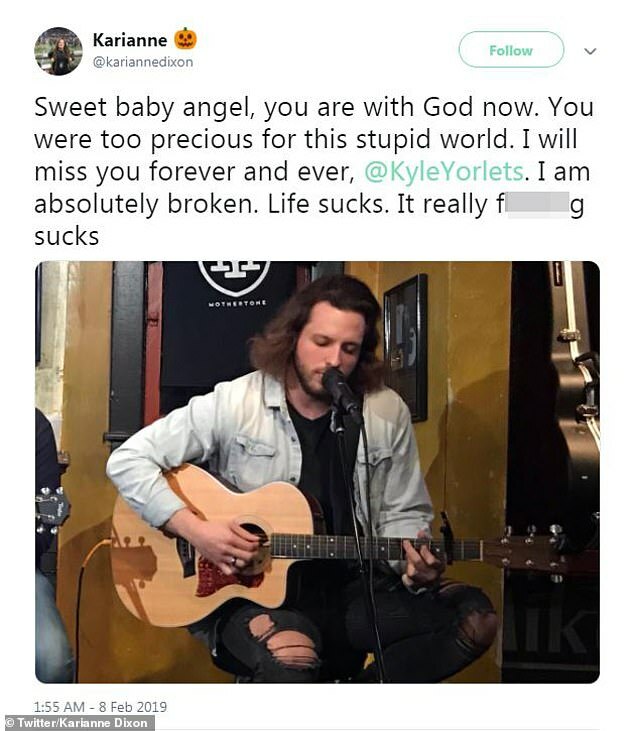 According to the page, the funds are specifically intended to cover the costs of Kyle's funeral as well as other costs the family will incur through travel, hiring people to oversee the dairy farm in their absence, and 'any other expenses that may arise during this awful season of their life'. Any money left over from funeral expenses will go toward scholarship opportunities in Yorlets' honor. The comments section on the GoFundMe page has been flooded with hundreds of heartfelt messages. Another said: 'Never knew his full name until now, but he waited on us many times at Pastaria, always so kind and patient. 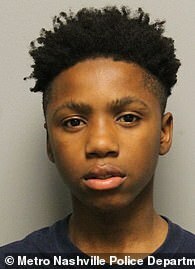 A press release from Nashville police identified three of the shooting suspects as Roniyah McKnight, 14, Diamond Lewis, 15, and Decorrius Wright, 16. 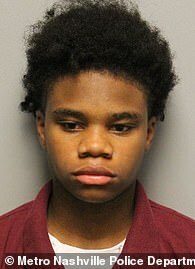 The names of the two youngest suspects, a 12-year-old girl and 13-year-old boy, have been withheld because of their age. 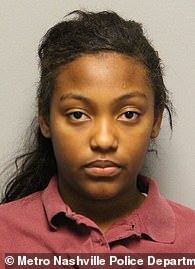 The district attorney will decide if the juveniles will be charged as adults. In the hours after the shooting, officers recovered the stolen Chevy Colorado, which had been abandoned in the 1600 block of Timberland Drive. A loaded 9mm pistol, which had been reported stolen, was recovered from them. A second loaded, stolen pistol was recovered from inside the store. The vehicle in which they traveled to the Walmart, a Hyundai Santa Fe, had been stolen from Brentwood.